Men who were exposed to Agent Orange chemicals used during the Vietnam War are at higher risk for life-threatening prostate cancer than unexposed veterans, researchers have found. What's more, those who served where the herbicide was used were diagnosed with cancer about five years earlier than other men, on average, in the new study. “This is a very, very strong predictor of lethal cancer,” said urologist Dr. Mark Garzotto, who worked on the study at the Portland Veterans Affairs Medical Center in Oregon. “If you're a person who's otherwise healthy and you've been exposed to Agent Orange, that has important implications for whether you should be screened or not screened,” he told Reuters Health. But one researcher not involved in the new study said it's hard to take much away from it, given the imprecise way it measured exposure. Agent Orange - named after the giant orange drums in which the chemicals were stored - was used by the U.S. military to destroy foliage, mainly in southern Vietnam. The herbicide was often contaminated with a type of dioxin, a potently carcinogenic chemical. The Vietnam Red Cross Society has estimated that up to one million Vietnamese suffered disabilities or health problems as a result of Agent Orange, including children born with birth defects years after their parents were exposed. Past research has also suggested that U.S. veterans who served where Agent Orange was used are at an increased risk of lymphoma and certain other cancers, including prostate cancer. For the new study, researchers wanted to see whether exposure was more closely linked to slow-growing prostate cancers or aggressive tumors. They analyzed medical records belonging to 2,720 veterans who were referred to the Portland VA for a prostate biopsy. About one in 13 of those men had been exposed to Agent Orange during the Vietnam War, according to their VA intake interviews. One third of all men in the study were diagnosed with prostate cancer, about half of which were high-grade cancers - the more aggressive and fast-growing type. When the researchers took men's age, race, weight and family history of cancer into account, they found those with Agent Orange exposure were 52 percent more likely than unexposed men to have any form of prostate cancer. Separating out different types of tumors showed the herbicide was not linked to an increased risk of slower-growing, low-grade cancer. But it was tied to a 75 percent higher risk of being diagnosed with aggressive prostate cancer, the study team reported Monday in the journal Cancer. “The increase in the rate of cancers was almost exclusively driven by the potentially lethal cancers,” said Garzotto, also from Oregon Health &&#35;38; Science University. More research is needed to figure out exactly why that is, he said. In the meantime, Garzotto said veterans who were exposed to Agent Orange should discuss that with their doctors. But Dr. Arnold Schecter, from the University of Texas School of Public Health's Environmental and Occupational Health Sciences Program in Dallas, said there's a “big problem” with just asking veterans if they were exposed to Agent Orange or served in an area where it was sprayed. 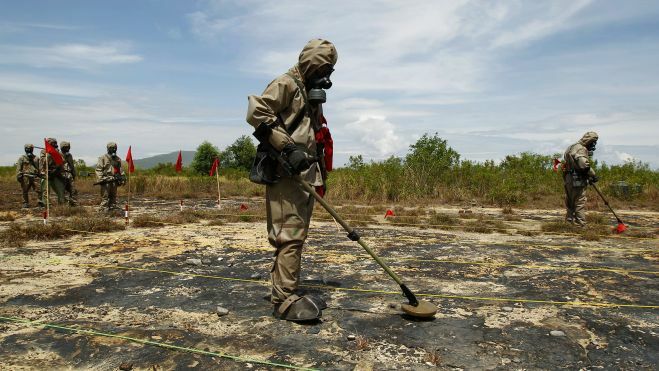 “Of those most heavily exposed in the military as best we know, only a relatively small percentage of them had elevated dioxin from Agent Orange in their blood when tested by (the U.S. Centers for Disease Control and Prevention),” he told Reuters Health. Schecter said that in Vietnam, people who have high levels of that type of dioxin in their blood live in places where the chemical has become integrated into the food supply - or were sprayed directly with Agent Orange. Another researcher who has studied the effects of Agent Orange agreed that not having blood dioxin levels is a drawback, but said the findings are consistent with past research and general thinking about the chemical. “Almost all studies have implicated that men with Agent Orange (exposure) either have higher-grade prostate cancer or a more aggressive clinical course,” said Dr. Gregory Merrick, head of Wheeling Hospital's Schiffler Cancer Center in West Virginia, who also wasn't involved in the new research.